An exploration of the relationship between jazz trumpeter Lee Morgan and his common-law wife Helen, who was implicated in his murder in 1972. KIDS FIRST! 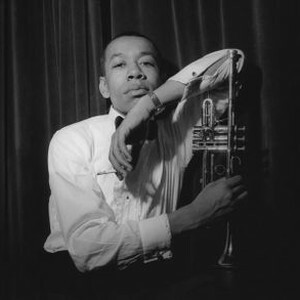 Juror, Terry S. comments, “This haunting documentary about the life of a great jazz trumpeter Lee Morgan and his wife Helen is one I will not soon forget. ” See her full review below. This haunting documentary about the life of a great jazz trumpeter Lee Morgan and his wife Helen is one I will not soon forget. Swedish filmmaker Kasper Collin weaves the tale of their lives and their relationship through interviews with his friends and fellow musicians including saxophonist Wayne Shorter. He caps it off with an interview with Helen a month before her death in 1996. Through extraordinary black and white archival photographs, rare TV performances and an amazing soundtrack of Lee’s music, we are transported to the NYC jazz scene from the 50s to the 70s. 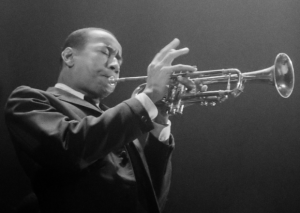 As a music aficionado, I was aware of jazz greats Dizzy Gillespie and Art Blakey, but not of Lee Morgan. The footage of his trumpet playing with these masters really drew me in. As one friend said in the film, “Lee really knew how to tell a story musically.” His was an exceptional talent as a young teenager of 17. However, his addiction to heroin took him out and it wasn’t until he met Helen, that he got back on his feet to play. 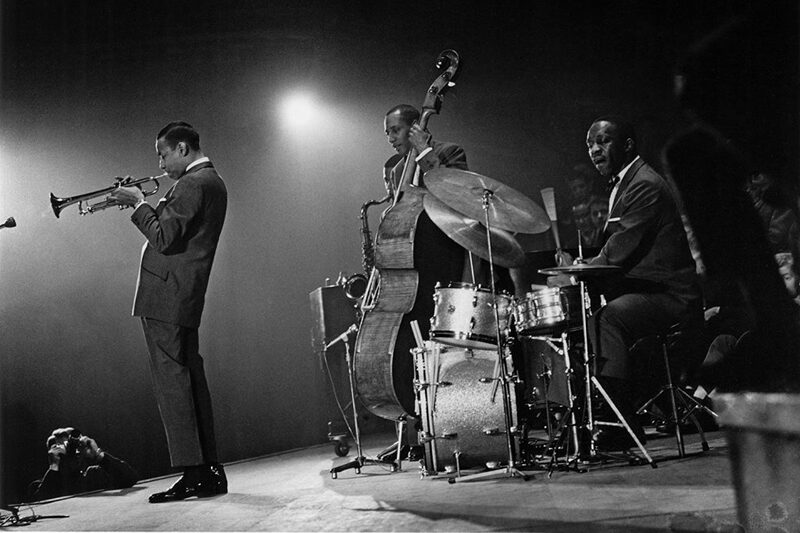 Through her care, inspiration and love, she managed his career and uplifted him back to compose and play music and eventually form his own band, The Lee Morgan Quartet. Lee had years of success playing not only clubs in the East but also on the West Coast. Some of my favorite parts of the documentary include footage on a TV show called “Soul”, where he dedicates a piece to the activist Angela Davis entitled “Angela”, and another TV show hosted by Steve Allen, a talk show host popular at the time. The other favorite part was with the jazz mobile workshop where he worked with young people on musical arrangements and gave them a chance to play and learn from him. The twist and turns of Lee and Helen’s life together end tragically when Lee plays at a popular club called Slugs, down in the East Village of NYC. On a snowy night in February 1972, his life is cut short at the young age of 33 by the woman who had brought him back to life. Following an altercation between sets, Morgan’s common law wife Helen Moore, shot him. I give this film 4 out of 5 stars and recommend it to ages 13 to 18 as well as adult jazz lovers. You can catch I Called Him Morgan on DVD and Blu-ray beginning October 31, 2017. This entry was posted on Monday, October 16th, 2017 at 3:13 pm and is filed under Film Critics Blog. You can follow any responses to this entry through the RSS 2.0 feed. Both comments and pings are currently closed.